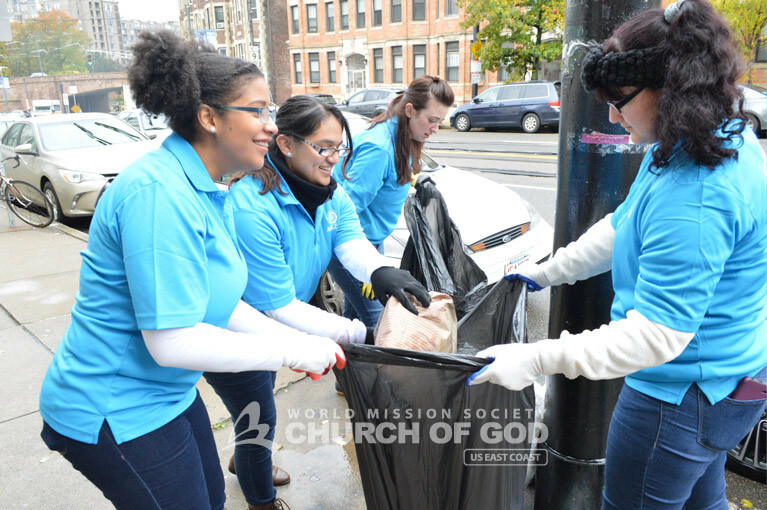 Early on October 28, ASEZ—Church of God’s university student volunteers—conducted its first New England cleanup. After being hit with the remnants of Hurricane Willa, Boston was left with low temperatures and strong wind gusts that swept across the east region of the state. However, despite the cold and damp weather, ASEZ volunteers gathered their strength to clean and beautify the community. They decided to clean up Huntington Avenue in Brookline—a town located in the Greater Boston area. 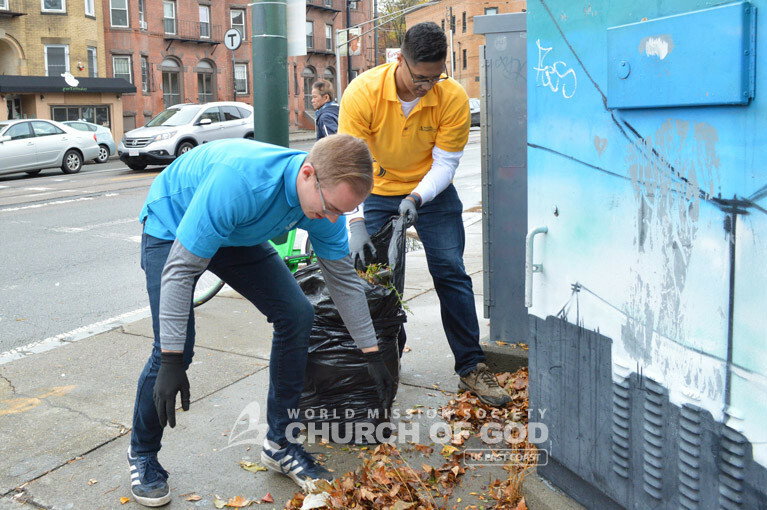 About 50 volunteers participated in the Huntington Avenue cleanup, consisting of both Church of God members and university students. Some volunteers came from as far as Springfield, Massachusetts to participate in the street cleanup. Volunteers divided into two groups to conquer both sides of Huntington Avenue. As they moved east, they covered a vast stretch in front of local businesses and housing apartments. Residents and business owners looked outside their windows, surprised to see the volunteers working in the cold. Furthermore, many residents thanked them for their community service. About 25 trash bags were gathered, among other wreckage, totaling up to 250 pounds. 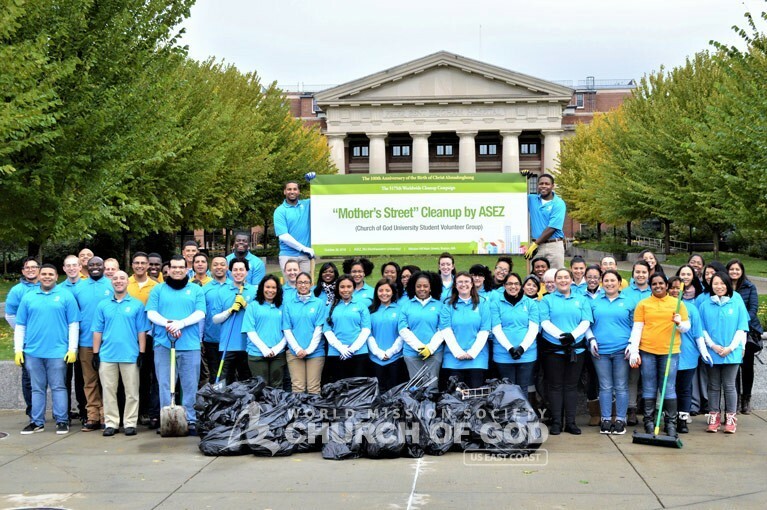 ASEZ volunteers put their hands together in unity to clean up the streets of Brookline, MA. Volunteers from ASEZ and WMSCOG worked diligently to clean up the streets of Brookline after Hurricane Willa. 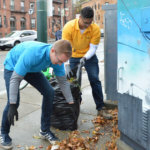 The New England cleanup served as an effort to carry out the ASEZ worldwide crime prevention campaign, “Reduce Crime Together.” ASEZ, which stands for “Save the Earth from A to Z,” is led by university students around the world. 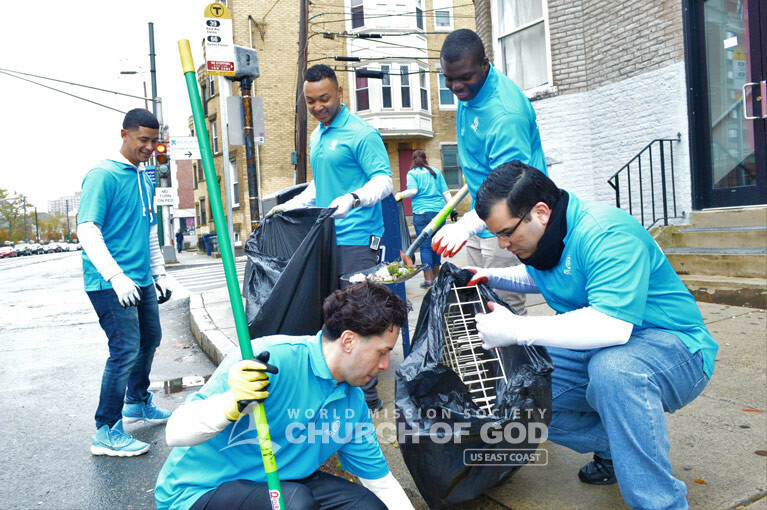 They take the lead in serving their communities and neighbors with Heavenly Mother’s love. The “Reduce Crime Together” campaign is part of the Church of God’s efforts to implement the United Nations’ Sustainable Development Goals. This volunteer service was one of many being held at 7,000 regions and 800 universities worldwide. Through this initiative, the young adults of the Church of God are zealously moving towards fulfilling the United Nations’ Sustainable Goal #16 for peace, justice and strong institution. This isn’t the first time World Mission Society Church of God volunteers have assisted in the wake of a hurricane. In 2017, volunteers helped the devastated victims of Hurricane Maria in Puerto Rico through relief drives and disaster relief cleanups. Also, volunteers in New York and New Jersey led disaster relief efforts in the months after Hurricane Sandy in 2012. ASEZ volunteers from all over New England banded together to cleanup Huntington, Avenue in Brookline. In unity, ASEZ volunteers cleaned up the streets of Brookline in an effort to recover the area after Hurricane Willa. I am so thankful to be a part of such a beautiful organization of love, servitude and sacrifice for a greater good! Everything about Mother’s love through Asez and The Church of God is overwhelmingly good! Helping in the face of disasters is a real need for communities around the world!